We invite you to add your legacy to that of others who realize the importance of permanent community endowments. The Legacy Council was created to recognize those special individuals who plan to make a gift at the end of their lifetimes, and to applaud today’s generous citizens who, like those who came before, will improve the lives of those who will come after them. Many of the community programs in our region today exist because of the dedication, foresight and generosity of those who came before us. It is not by chance that we enjoy the San Elijo Lagoon or the San Dieguito River Valley, local senior centers, and arts programs for at-risk youth. These are just a few of the long-lasting results, legacies if you will, of grateful Legacy Council donors. The Rancho Santa Fe Foundation offers many options for your legacy gift. We can help you establish a permanent charitable endowment tailored to your philanthropic goals. Whether your goal is to endow your annual gifts to the organization of your choice, to memorialize the life of a loved one in the community, or simply to leave a lasting legacy, a planned gift to the Rancho Santa Fe Foundation will enable us to continue to meet the needs that matter most to you in the future. You may name the Foundation as a charitable beneficiary in your will, specifying a certain sum, a percentage, or the residue of your estate. We can establish guidelines to ensure that your charitable intentions are met in the future. Choosing from a variety of planned gifts, such as Charitable Remainder Trusts or Charitable Lead Trusts, might be an option for you. This type of arrangement is ideal for the gifting of appreciated assets. Generally these assets provide a current income tax deduction for the present value of the remainder committed to charity, with no capital gains on the disposition of the appreciated assets. And there is no tax on the earnings of the trust. Naming the Rancho Santa Fe Foundation as the final beneficiary of the trust enables you to serve posterity with your generosity today. Life insurance may be used as a bequest instrument, also naming the Foundation as the beneficiary. A gift of real estate may provide you with a means of using the value of your home or real property to create your legacy. Upon the acceptance and sale of your property, the Foundation will manage the proceeds in a fund established by you that will keep on giving. We acknowledge those individuals who plan to leave an indelible mark on the community through a planned gift. By joining with other members of the Legacy Council, your commitment to a charitable gift can assist others in making a similar decision. 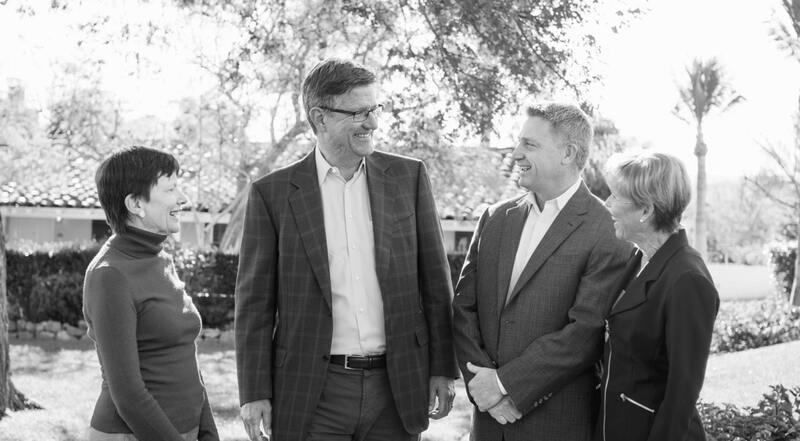 The professional staff at the Rancho Santa Fe Foundation provides options for your charitable giving and shares their extensive knowledge of nonprofits doing the best work in your areas of interest. Many of our generous donors come from the San Diego North County area, from communities like Rancho Santa Fe, Solana Beach, Del Mar and Encinitas. These donors know that their funds are going to important, impactful causes in their own neighborhoods, as well as all of San Diego County and beyond. For example, we are proud to work with the Girl Scouts, San Diego-Imperial Council – empowering girls and young women through outdoor activities, arts, leadership training and other programs that build their courage and confidence. This does not just make a difference in local San Diego communities. Girl Scout camps and programs create courageous women who go into the world and make a positive impact in countless other cities and countries.